Atticus Rhodes – The missing brother of Alexis Rhodes, Atticus’ disappearance is a driving force in his sister’s determination during the first season of the series. In the timeline of the Yu-Gi-Oh! 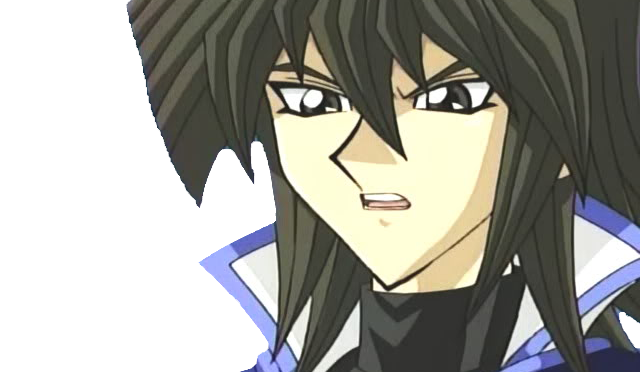 GX anime, Atticus and several other Obelisk Blue duelists from Duel Academy were to attend a duel exam. In reality, they were being lured into the abandoned Obelisk Blue dormitory by Lyman Banner for ulterior purposes. (In the English version, they visit the Shadow Realm.) Although the fate of the other students was never revealed, Atticus himself was transformed over time by the leader of the Shadow Riders, Kagemaru into Nightshroud (Darkness (Da-kunesu?) in the original Japanese language version), to assist him in reviving the Sacred Beasts. Alexis Rhodes devotes much of her time thereafter to seeking her missing brother. In his Duel with Jaden Yuki, Atticus, as Nightshroud, took Jaden’s friends prisoner and forced him to take part in a Shadow Duel wherein the loser has his soul sealed in a card. Jaden prevailed, and Atticus was released from the dark power that controlled him, with Nightshroud’s soul being placed in the card. Placed in the medical ward, Atticus offered help by giving Jaden the other half of the Shadow Charm pendant for his Duel with Camula, and eventually came to his sister’s aid during her Duel with Titan. Atticus promptly reverts to his old self after the Shadow Rider fiasco. Frequently showing up dressed in a Hawaiian shirt and strumming a ukelele, he is incredibly optimistic most of the time, but is seen as an idiot of sorts by his sister. He is an accomplished surfer, and is popular among women, a fact which leads Chazz Princeton to seek his advice on love-related topics. Atticus’ antics are a constant source of irritation for Alexis, as he tries without end to set her up with duelists or get her to go into show business with him in a band called “Bro-Bro and Sissy” (in the original version of the series, he instead urges her to join him under the stage name, “Asuryn,” whilst he recruits more followers for his “Bucky” fanclub to rival his friend, Ryo Marufuji). In the English version, Atticus also distributes and subtracts “stars” from others based on their actions as a means of expressing his mood at any given time, while his original series counterpart instead gives out “strong beating points”. Following Zane Truesdale’s “rebirth,” Atticus duels him using Nightshroud’s deck instead of his own to remind him of the horrors gained in taking a dark path as a duelist when he attends the GX tournament. In doing so, however, Nightshroud’s lingering influence once again exerts control over him, but dissipates after he loses, with Zane informing him that there is no darkness in his heart, and that he merely wishes to achieve victory through force. In the third season, Atticus accompanies Jaden & company through the alternative dimension, where he is sacrificed and sent to the stars along with Alexis, Chazz, Tyranno by Brron. 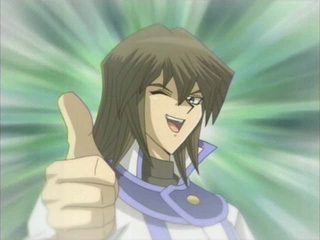 But he later returns after Jaden’s duel against Yubel. In the fourth season Duel Academy becomes targeted by an avatar of darkness called Trueman, and Atticus recovers his lost memories in full, discovering that he was not the first student to act as an avatar for Nightshroud, with his friend Yusuke Fujiwara being the first and passing the power on to Atticus. When multiple copies of Trueman (who by has manifested several other unnatural abilities, including possession) attacks Duel Academy and erases the memories of the students he has defeated from Atticus’ mind, Atticus calls on Nightshroud’s power and undoes the amnesia and challenges Trueman. At this time, Yusuke appears as the leader of the Truemen clones and the true avatar of the powers of darkness, and after losing to him, Atticus is absorbed into darkness. In the last episode of Yu-Gi-Oh! GX, Atticus returns the Duel Academy with everyone. His last message to Jaden was leaving Alexis to Jaden (as by this point, Alexis’s has developed feelings for Jaden). In the manga, Atticus is a star duelist residing in the United States. Other characters see his dueling record over the internet, and Atticus is neither seen nor heard in person. In the Japanese version, Fubuki gives himself the title “Fubu-King,” much to his sister’s chagrin. Against Alexis, Atticus plays an Idol deck, which reflects his love of stardom, and revolves around various strategies involving Beast-Warrior monsters. He gains a continuous advantage with Spotlight, powering up his Panther Warrior, and supporting it further with cards such as Path to Destiny and Stray Lambs. His signature card, Ultimate Stage Costume, provides his monsters with an extreme augmentation in terms of strength, but cannot be used for offensive purposes. With the exception of his duel with Alexis, Atticus uses Nightshroud’s deck, focusing on Red-Eyes Black Dragon and a variety of support cards to increase its power by discarding Dragon-type monsters to the Graveyard. Although the deck was originally wielded by Nightshroud for evil, Jaden points out that by Season 4 Atticus has conquered Nightshround’s influence and has become strong enough to use the deck for good. This Deck revolves around various strategies involving Beast-Warriors. He gains a continuous advantage with “Spotlight”, powering up his “Panther Warrior”, and supporting it further with cards such as “Path to Destiny” and “Stray Lambs”. His signature card, “Ultimate Stage Costume”, also provides his monsters with an extreme augmentation in terms of strength, but cannot be used for offensive purposes.